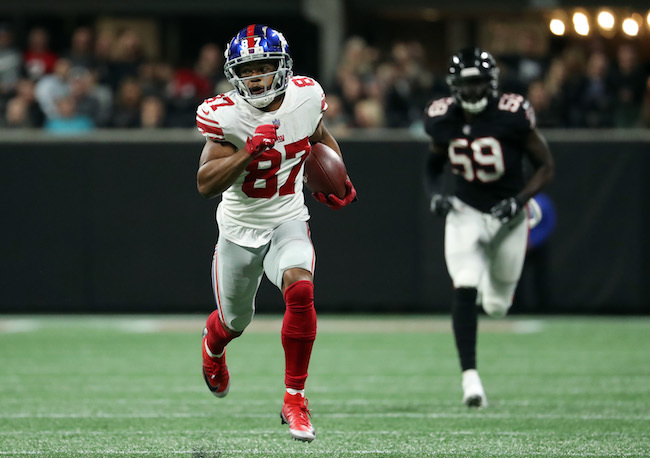 Although not officially announced yet, the New York Giants have signed wide receiver Sterling Shepard to a 4-year contract extension reportedly worth $41 million, including $21.3 million in guaranteed money, that will keep him under contract through the 2023 season. Shepard had one year and $1,260,624 in salary left on his current contract with almost a $1.9 million cap hit. In his third season with the Giants in 2018, Shepard started all 16 games, finishing with 66 catches for 872 yards and four touchdowns. Shepard was selected in the 2nd round of the 2016 NFL Draft by the Giants. Shepard started all 16 regular-season games as a rookie, but missed five games in 2017 with various ailments. ESPN is reporting that unrestricted free agents cornerback Morris Claiborne (New York Jets) and defensive lineman Corey Liuget (San Diego Chargers) have visited the Giants. The 29-year old, 5’11”, 192-pound Claiborne was originally drafted in the 1st round of the 2012 NFL Draft by the Dallas Cowboys, where he played from 2012 to 2016. Claiborne signed with the Jets in 2017. In seven NFL seasons, Claiborne has played in 77 regular-season games with 73 starts. He started 15 games in 2018 and finished the year with 57 tackles, 14 pass defenses, and 2 interceptions. The 29-year old, 6’2”, 300-pound Liuget was drafted by the Chargers in the 1st round of the 2011 NFL Draft. In eight NFL seasons, Liuget has played in 108 regular-season games with 103 starts. Liuget was suspended four games in 2018 for violating the league’s policy on performance-enhancing substances. After playing in six games with three starts, he then suffered a torn quad tendon and was placed on Injured Reserve.